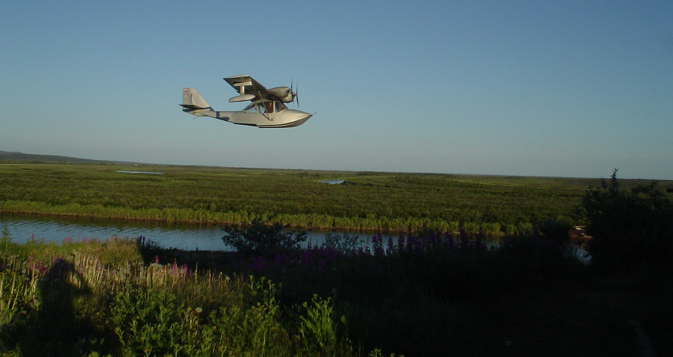 The Mumbai Police are keen to acquire the Russian Pelican-4 amphibious aircraft to increase aerial surveillance around the coastline of India’s largest city. India’s financial capital, which witnessed one of the most deadly international terror attacks on November 26, 2008 (26/11), may use Russian seaplanes to enhance its coastal security. The Mumbai police are drafting a proposal to acquire the Russian Pelican-4 amphibious aircraft, the Indian Express reported on Tuesday. The amphibious aircraft would give the Mumbai Police it aerial surveillance capabilities and could be used for evacuation purposes or to airdrop personnel in crisis situation, the paper said. The Pelican- 4, which is a four-seater twin-engine multi-utility amphibious seaplane, is being developed by Russia's International Institute of Advanced Aerospace Technologies. The aircraft is being marketed in India by Millennium Aero Dynamics. The aircraft is entirely made of advanced composite material, according to the Millennium Aero Dynamics’ website. It's easy-to operate features allow it to be operated from the water surface, snow or unprepared land, poor runways, asphalt or concrete strips without requiring at all any specific aviation or marine infrastructure. Over 74 Pelicans are currently in operation, both in Russia and the places like Australia and the Caribbean Islands. Coastal security remains a major concern for Mumbai, which is still vulnerable to attacks like 26/11. The 2008 attacks comprised of twelve coordinated shooting and bombing attacks by members of the Pakistani terror group, the Lashkar-e-Taiba and lasted four days. The attacks claimed the lives of 164 people and wounding at least 308.